Sorry about the lateness of this Transactions. Couldn't be helped. 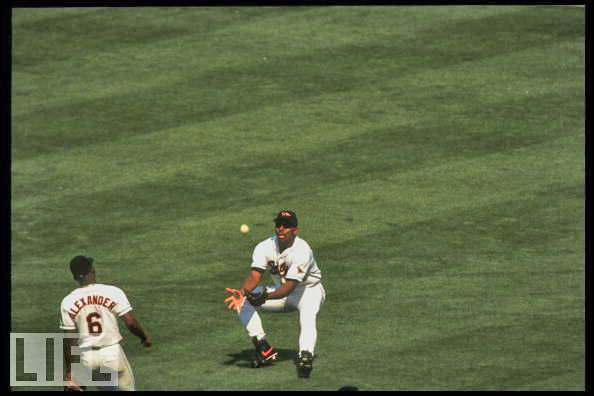 Before we start, a reminder.....via the Wall Street Journal: Beginning on July 1, 2011, the Mets will pay former player Bobby Bonilla $1.19 million a year for 25 years as part of a buyout of the $5.9 million the team owed him in 2000. A previous headline of this article incorrectly gave the amount of the annual payment as $1.9 million. Well played Mets. Well played. Good article about age creeping on ballplayers, by Joe P. on SI.com. Hope that's not the case with Jeter. We have him for 4 years....oooops. Connecticut basketball!...Recruiting violations!....No atmosphere of compliance!....who would have thought? Like I wrote earlier this offseason, FoxSports.com is writing about the utter devastation of the Ray's Bullpen. "The Rays’ bullpen figures to be a season-long work in progress," writes FOXSports.com's Ken Rosenthal. Tampa Bay lost almost its entire bullpen to free agency, and Andrew Friedman admitted the club was "kind of freaking out about it" in January. Rosenthal says the Rays will look at relievers cut by teams at the end of Spring Training, and they will also continue to consider possible trades. Seriously, no matter how good their starters are...and they are good...the bullpen is going to lose games for them. Can anyone remember the Knicks actually had a draft pick? Suddenly, contraction is the word of the day in baseball. Ain't gonna happen. Just won't. Baseball and Bud Selig are just sounding off to create fear and outrage. The A's will get their park in San Jose ("San Jose Athletics? "), and the Rays will either get an outdoor stadium in Tampa, or they will move to San Antonio or Charlotte. No offense to Norv Turner, but you are creating the 80s Dolphins down there in San Diego. Phillip Rivers...arguably the best QB in the game (no offernse, Tom, Peyton and Drew) to never sniff the Super Bowl. Hank Steinbrenner is quickly becoming the crazy uncle who makes everyone uncomfortable at holidays. Pretty soon, the Yankees are going to have to keep this guy in the attic. I have no reason to say this, other than having watched him a lot the past 2 seasons...I think Greg McElroy would make a good backup QB on an NFL team. He'll never be a starter, but a solid, dependable backup. If Alex Rodriguez doesn't bounce back this season, he never will. And the Yankees will look extremely, extremely cerebellumly-challenged to have signed him through 2017. 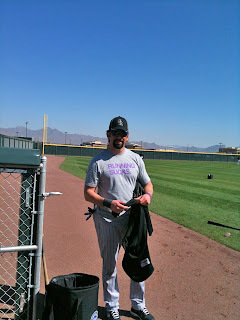 And lastly, Todd Helton getting into the spirit of being a ball played at Spring Training. The NCAA didn't really do anything to UCONN. They cut 1 scholarship for the next 2 years. Never mind compliance...where's the policy? Maybe the Knicks are better off without draft picks. Remember Frederick Weiss? Besides, they just got back Renaldo Balkman as part of the Carmelo trade. Balkman was the Knicks' first round pick several years ago. How has Norv Turner kept his job? He must have shocking photos of Jack Murphy. good article (Jeter/Tiger), thanks for the link. Many players have won the lottery over the years with contracts with the Mets...Bonilla's takes the cake though. Who drafted that deal and are they still involved with a professional team, anywhere? Pete, I've always said that Turner should thank Aikman, Irvin, and Smith for all of the gigs he has gotten him since he left Dallas.